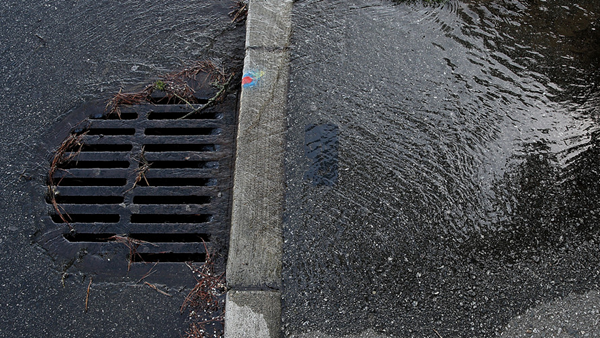 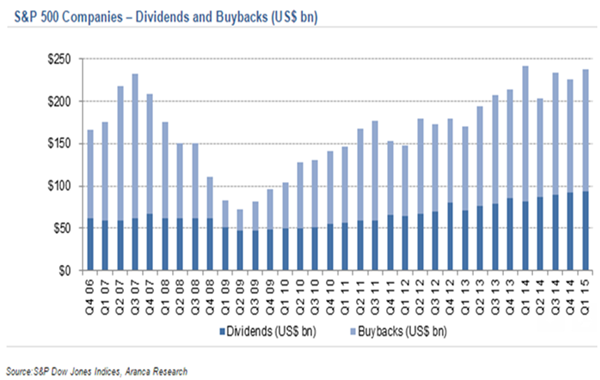 Is Corporate America letting its cash drain away?. 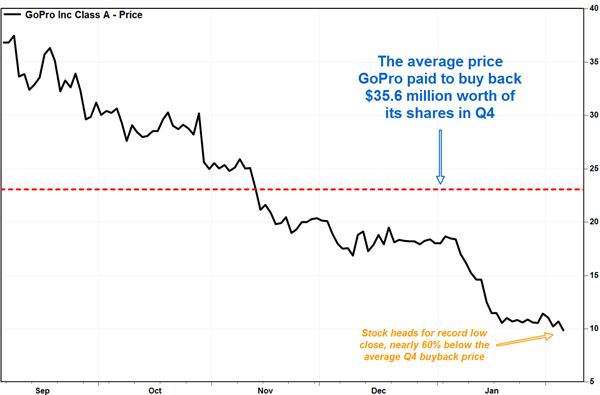 For example, GoPro Inc. GPRO said late Wednesday that it spent $35.6 million to buy back stock during the fourth quarter, at an average price of $23.05, but to little avail. 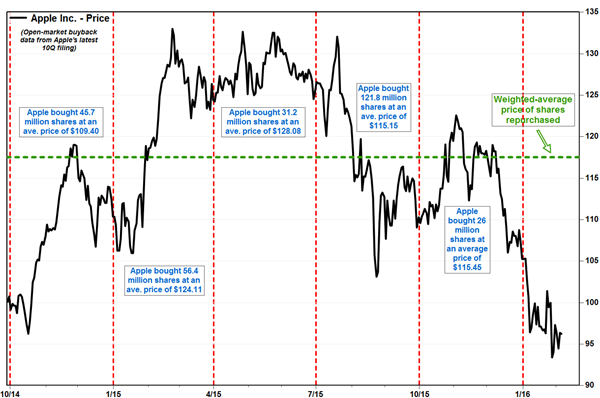 A good example of this has been Apple Inc. AAPL The technology giant repurchased 281.12 million shares in open-market transactions over the past five quarters, at a weighted average price of $117.48, according to an analysis of data provided in the company’s latest quarterly filing.